Successfully Added USB-C Hub - 3x USB 3.0, 5Gbps Transfer Speeds, Gigabit Ethernet Support, 1000mbps, Plug-And-Play, Universal Compatibility to your Shopping Cart. 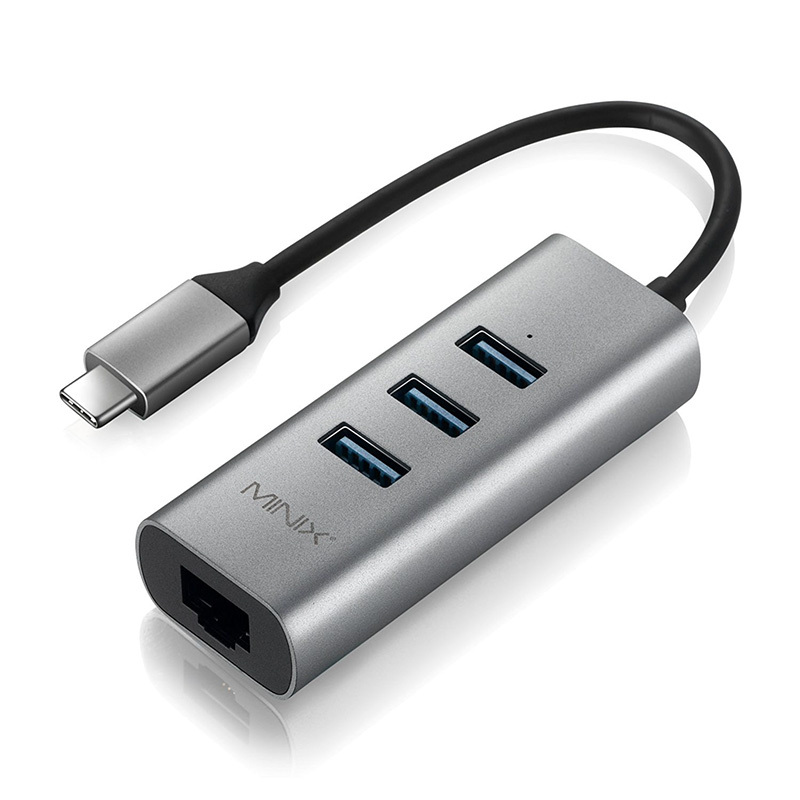 This USB-C adaptor from MINIX instantly turns your USB-C port into three ultra-fast USB 3.0 ports. Never again will you have difficulties connecting old gadgets and gizmos to your newly bought laptop or tablet PC. Thanks to its ultra-fast plug-and-play design, there is nothing you’ll have to do in order for this beauty to work. Simply plug the USB-C hub into your device, and you’ll be all set to go. This cool electronic gadget features an ultra-sleek and lightweight design which makes it easy to carry along anywhere you go. It comes with a durable and premium aluminum body that makes it both tough and good looking. Your USB-C adaptor treats you to stunning data transfer speeds up to 5Gbps. Thanks to this, it is guaranteed to meet even your most demanding transfer needs. What really sets this gizmo apart is, however, the fact that it also works as a Gigabit Ethernet adapter. This allows you to instantly connect your laptop or PC to super-fast wired network connections with a bandwidth of up to 1000Mbps. Thanks to its universal design; it can be used effortlessly with all the latest generation laptops, PCs, and tablets out there. Whether you use this USB-Hub to connect to your wired internet connection or to hook up your older generation gadgets to your new laptop – this gizmo is sure to meet your demands. This USB-C adaptor comes with a 12 months warranty, brought to you by the leader in electronic devices as well as wholesale electronic gadgets..